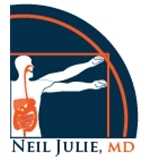 Neil Julie MD (Rockville) - Book Appointment Online! We are here to provide you with individualized, compassionate care as we have done for 20 years in the Rockville/Bethesda/Gaithersburg area. Our concern is your well-being. We offer state of the art care in gastroenterology, endoscopic procedures and care of liver disease on a highly personalized basis. Dr. Julie and his clinical team make sure that you will never feel "lost in the crowd".